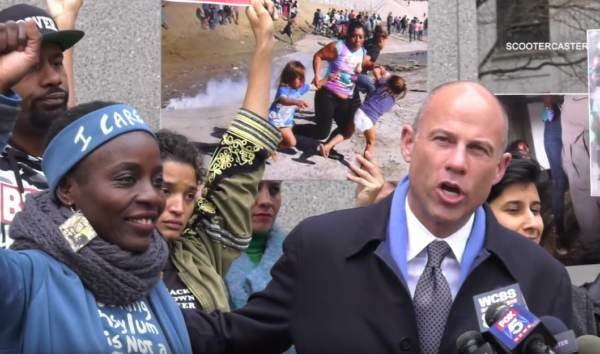 Another winning chapter for Michael Avenatti! He’s got the Midas touch. 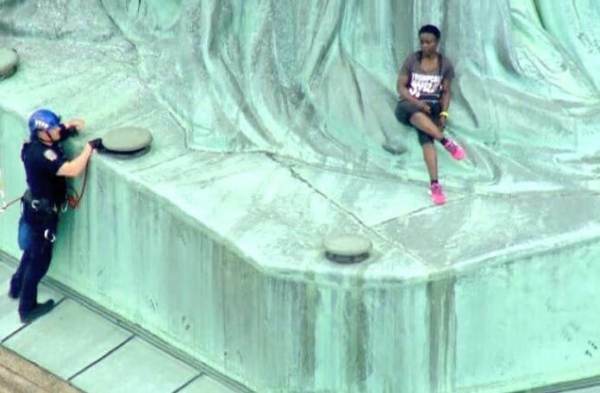 Statue of Liberty climber Therese Okoumou was found guilty today on ALL charges. This followed her stunt on the 4th of July where she shut down the Statue of Liberty for visiting tourists. The left, of course, cheered her antics that ruined the holiday for hundreds of visitors. She then pleaded ‘not guilty’ to climbing the Statue of Liberty. She’s a lovely gal, a Congolese immigrant and great asset to this country. On Monday Therese Okoumou was found guilty on all charges. Michael Avenatti was by her side. She treated her loss like a win.